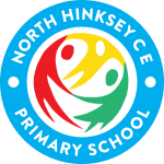 To provide a high quality, holistic education, enabling everyone to flourish and achieve through developing their intellectual, spiritual, physical and emotional wellbeing. Recognising its historic foundation, the school will preserve and develop its religious character in accordance with the principles of the Church of England and in partnership with the Church at parish and diocesan levels. We are a Church of England school and all our work is underpinned by core Christian values of faith, hope and love. We are a school of OTTER Learners (Ourselves, Try, Think, Enquire, take Risks) and expect, with support, all children to rise to the challenge and demonstrate the following attitudes in their learning. We uphold British Values. For more information follow the link here.